Welcome to the Award Winning Glenview Hotel. A stunning location combined with dedicated and experienced staff, exquisite cuisine with a sophisticated ambiance to create a truly magnificent experience. The team here make a promise to each couple to deliver the highest of standards of service and attention to detail. 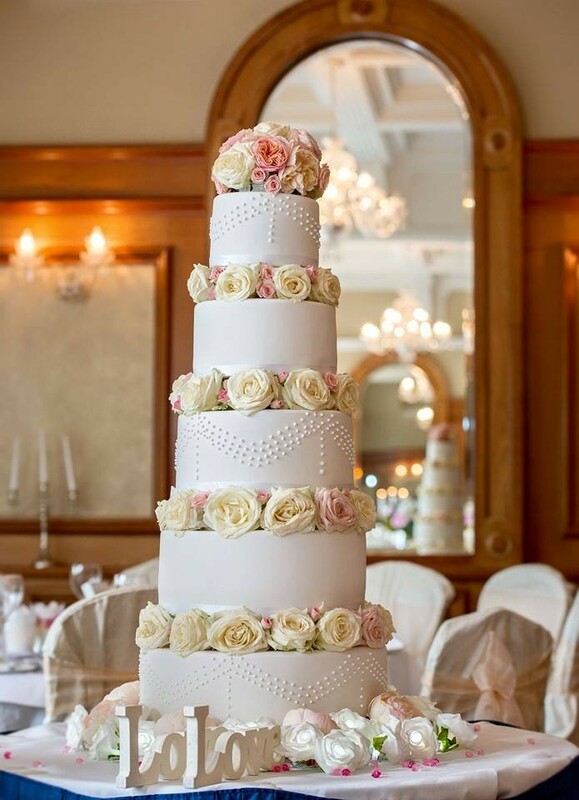 Voted Best Wedding Venue in Wicklow, the Glenview Hotel is the perfect choice for your dream day. 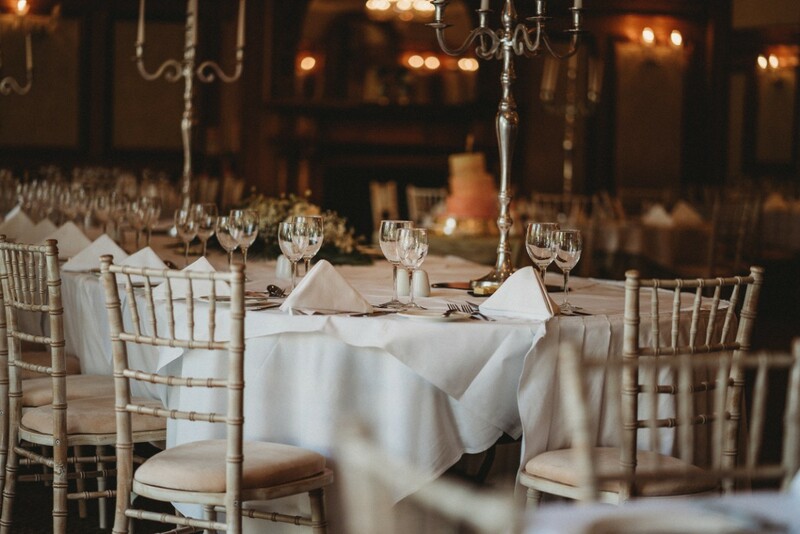 Specialising in breathtakingly beautiful outdoor ceremonies & stunning 'Wed-stival' style drinks receptions along with glamorous banquets in our elegant ballroom. Making it a dream venue for your perfect wedding day. We also cater for small intimate weddings and all cultural wedding celebrations. Glenview Hotel is a prime location for second day events, so you can make that special moment memorable for longer. 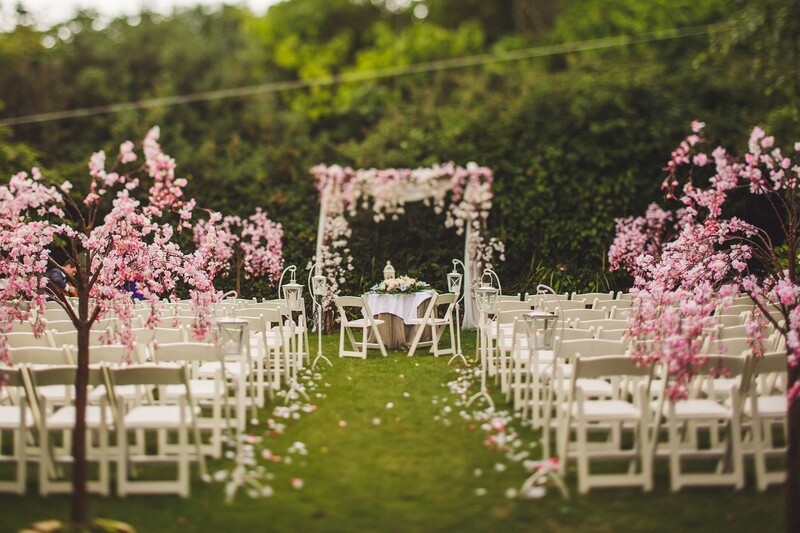 One wedding per day and their dedicated Wedding Coordinator Rachel is with you every step of the planning process helping you to create your dream day! 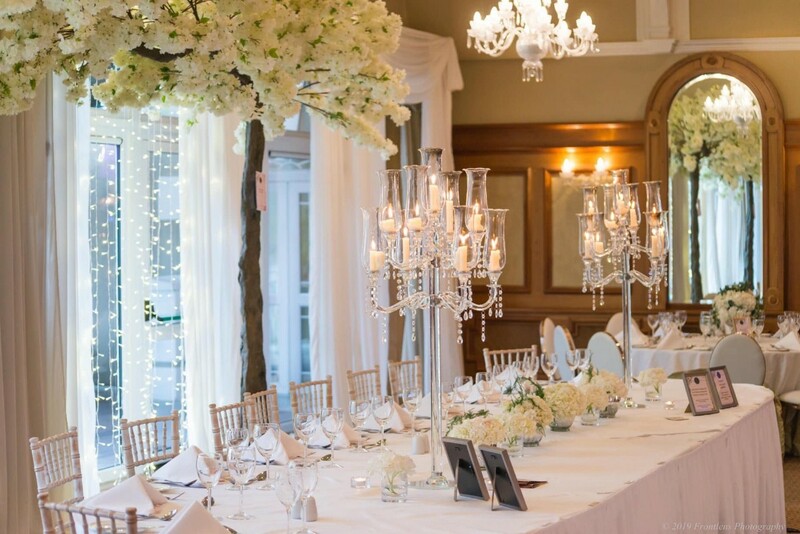 The Glenview Hotel and Leisure Club is a beautiful award winning wedding venue in Wicklow servicing weddings throughout the local area including South Dublin, Wicklow, Leinster and throughout the whole of Ireland. Local towns include Greystones, Delgany, Bray and Enniskerry & a stones throw from Glendalough.. 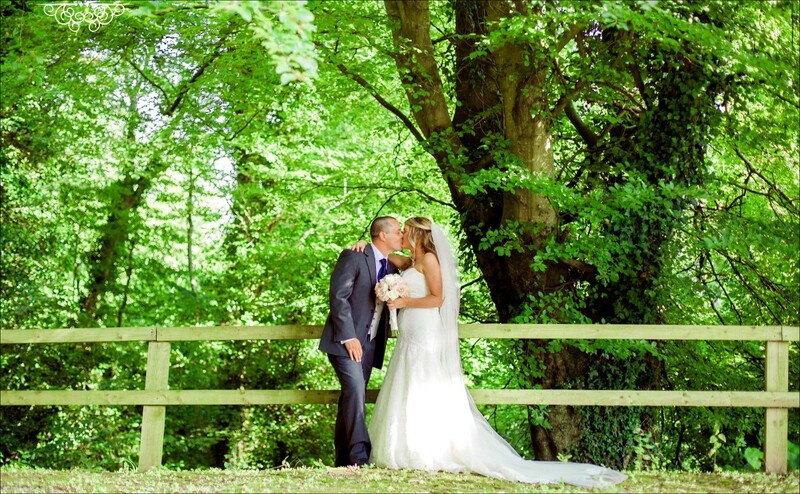 The Glenview Hotel is a professional country wedding venue that has been part of the Irish wedding industry since the 1940's specialising in outdoor weddings, civil ceremonies, classic and timeless wedding receptions. 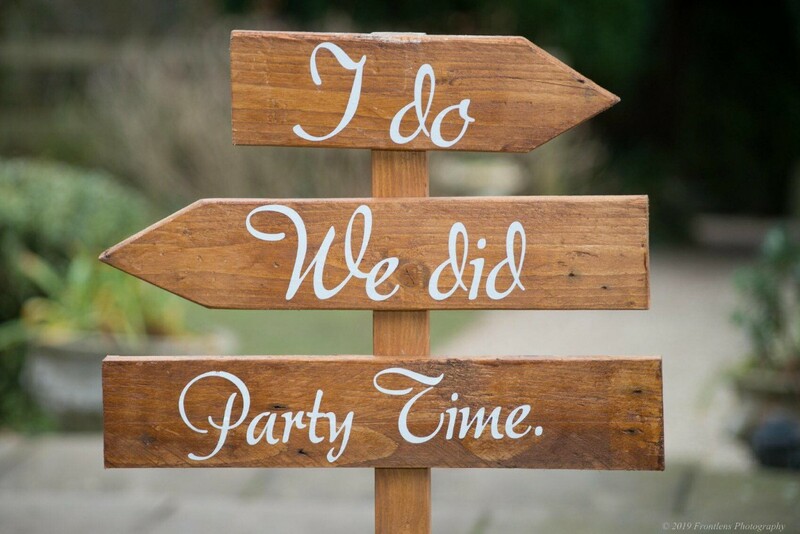 We love personalised and themed wedding celebrations . We had our wedding on Saturday, 27th October, 2018 in the Glenview Hotel. It was absolutely amazing, the best day of our lives. We couldn't have been happier with how everything went. Rachel, our wedding coordinator, was just fantastic, she was so professional and she went above and beyond with any requests that we had! She had the room set up just as we had requested. We were able to contact her about any questions we had with a quick reply and on the day itself everything ran so smoothly. 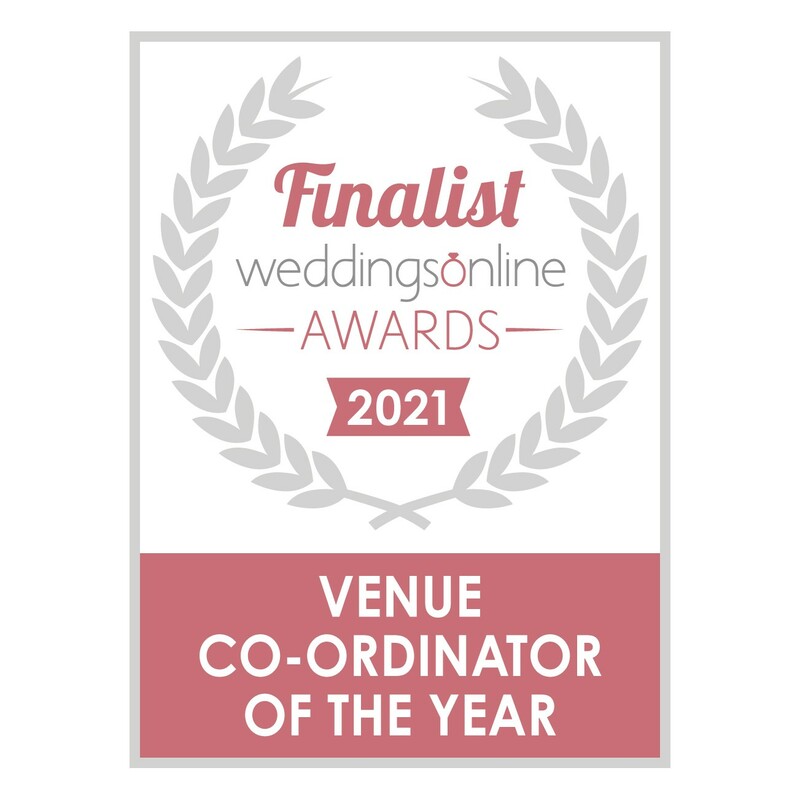 It’s easy to see why Rachel is a finalist in the weddings online awards 2019. 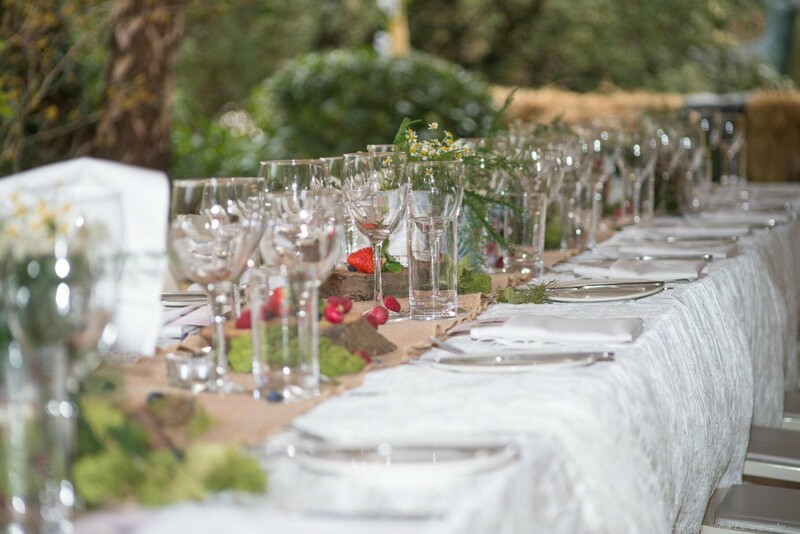 The food was superb and served so quickly all of our wedding guests were talking about how good it was, everyone was just brilliant, so professional and so friendly. My husband and I would highly recommend the Glenview Hotel to any future bride and groom looking to celebrate their special day in a fabulous hotel with exceptionally professional staff and stunning views. Enjoy evey minute as the day flys by the time use get alone relax and enjoy as it's a long day ???? Hi Kevin and Amy, many thanks for your review, it was such a pleasure working with you both and many congratulations again! See you both soon. Rachel. We got married in the Glenview a little over a month ago and had the best day ever. The hotel and wedding staff went above and beyond to make sure our day went seamlessly. All of our guests were raving about how good the food was! I would highly recommend anybody who is considering having an outdoor wedding to do it here as the grounds are fantastic and you are given full use of them for the day. The Glenview Hotel were amazing, they pulled out all the stops and Rachel the wedding planner is a lovely woman, friendly, warm and with a real genuine passion for weddings! The food is outstanding, as is the service. I would recommend the Glenview for your dream wedding any day! Hi Fiona, many congratulations again, thank you for such kind words, it was such a pleasure working with you both on your big day! Do come in and see us again soon! Rachel. Fantastic day from start to end! Rachel is so friendly and efficient and so lovely to deal with. Our only complaint is we didn’t want it to be over! So happy we chose this gem for our wedding venue and would highly recommend it. Hi Laura, Thank you so much for such a lovely review and your kind words! It was such a pleasure working with you both. I hope the honeymoon was amazing and come back and see us again soon! Rachel. Hi Melissa, many congratulations on your big day and thank you for such kind words. It was my pleasure working with you on your big day. Do come back and see us soon! Rachel. Hi Dion, many congratulations on your big day and thank you for such kind words. It was my pleasure working with you both on your big day. I love your photos! Do come back and see us soon! Rachel. Hi Rachel, I hope married life is treating you well and many congratulations again! It was our pleasure working with you both and I loved working on your festival theme! Please do come and see us soon and I hope the honeymoon was amazing!! Rachel. So we had our day last Friday 25 May in the Glenview Hotel and all I can say is everything was spectacular. I will be posting about my amazing suppliers shortly as they were all unreal and deserve the highest praise, but in the meantime here are a few photos. If anyone is undecided about a venue, you need to check out the Glenview. Views are spectacular. We were lucky enough to get the weather to be outside in the stunning gardens. The wedding planner Rachel was unreal. She was always available and ready to listen to all our weird and wonderful requests!! A total professional and a pleasure to deal with. Karl the assistant manager is like a machine who is always around with a smile on his face and willing to do all he can to make the day special. The staff were amazing. A lot of staff seem to be locals so there's a real relaxed family kind of feel to the place. Food was delicious. Ballroom is just the perfect size for an intimate wedding. Bridal suite is like a luxury apartment as opposed to a room! Couldn't fault anything....best day ever!!! What can I say about The Glenview, from start to finish Rachel knew exactly the kind of wedding I wanted, everyone is different and she understood that, I asked her a million questions in the lead up to it, she was more like a sister when the big day came. 12th May really was not only the best day in my life but in my friends, my husband and familys too, we all still talk about it and compare it to weddings they have been to but mine was just special, the room took my breath away there was such a warmth in the decor. 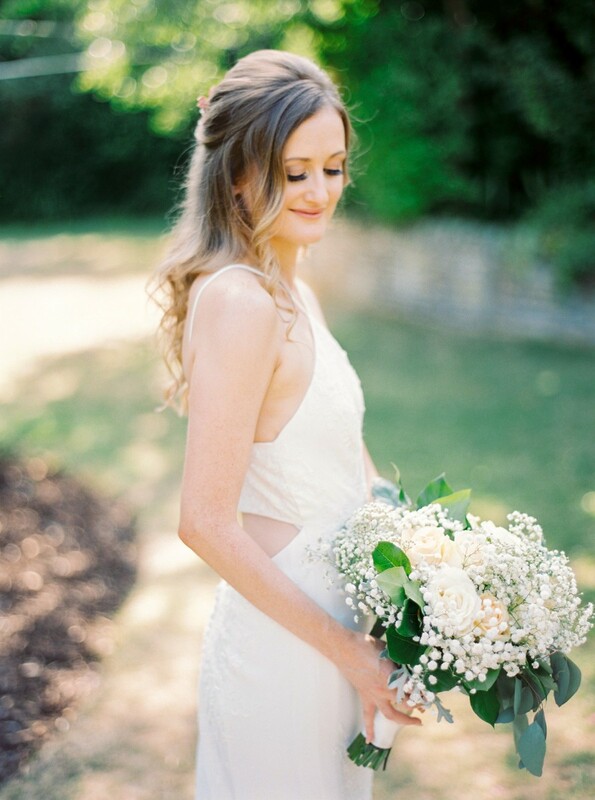 I must be the first bride that wasn’t nervous as I knew how much me and Leo wanted to get married and I think knowing how much work Rachel had put into it made me just excited on the day, the photographs in the grounds outside are stunning too. I would recommend the glenview to anyone planning their wedding ???? We had our wedding reception here a few weeks ago and are so happy we chose the Glenview! Rachel is an exceptional wedding planner who's passion is the small details that really make your big day. She is professional, on the ball and always there to answer any questions or worries you may have, and is also a lot of fun! All the staff in the Glenview are lovely and the food is amazing also. Perfect place for a perfect wedding. Hi Kerrie & Simon, I hope you are both enjoying married life. Really thank you for such lovely words, so kind and this means the world to me and it was our pleasure to work with you both and plan your big day. It was such a beautiful day and we were delighted to be a part of this. I have passed this review onto all staff. Please do come back and see us soon! All the best, Rachel - Wedding Coordinator. The Glenview Hotel is a fabulous venue. I couldn’t have picked a better place. The staff were so helpful in every way possible and so friendly to ourselves and our family and guests. 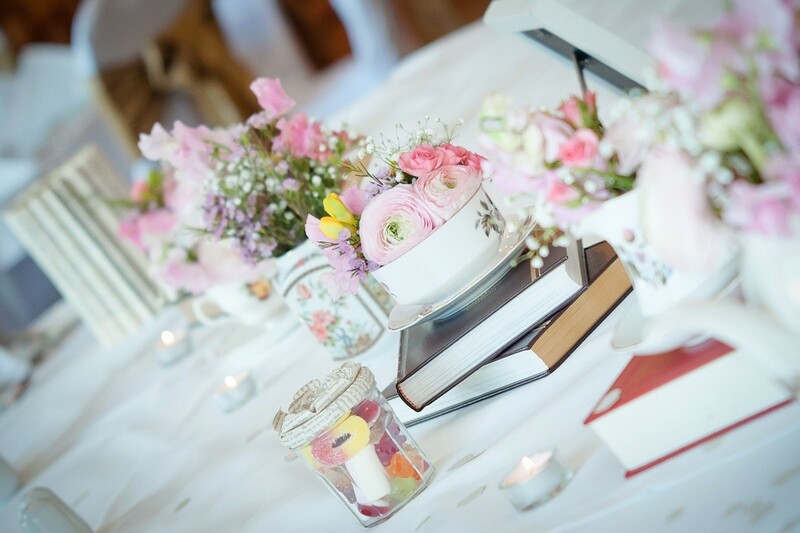 The wedding planner Rachel is so lovely to deal with and had everything covered for us which helped eased the stress.The wedding packages available are of great value and have lots included which eases the expense. I would highly recommend the Glenview Hotel to all! Hi Megan & David, Thank you for such wonderful feedback and kind words, this means so much to us all here. 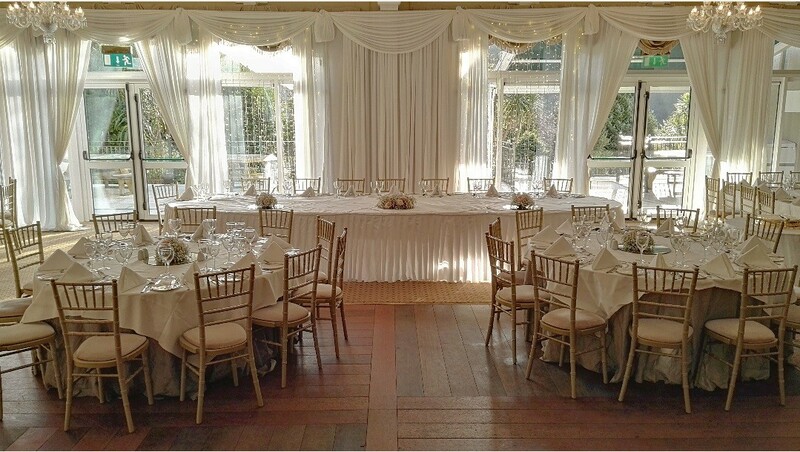 It was our pleasure to host your wedding day here in Glenview. You have both been such a pleasure to work with and your day was so beautiful. We look forward to welcoming you both back here very soon. Enjoy your first few months of Mr. & Mrs. All the best, Rachel and all here at Glenview Hotel. We were delighted with the Glen view hotel, everything went brilliantly on the day, food was amazing, guests loved the chip van , the hotel generally and the food. We found Rachael the wedding coordinator brilliant to deal with nothing was too much trouble and she got got back to us immediately about everything, would absolutely recommend having your wedding there, the package was excellent and covered a lot of things like flowers for the tables that I would never have thought of. Hi Jennifer, I hope you are both enjoying married life. Really thank you for such lovely words, so kind and this means the world to me and it was our pleasure to work with you both and plan your big day. It was such a beautiful day and we were delighted to be a part of this. I have passed this review onto all staff. Please do come back and see us soon! All the best, Rachel - Wedding Coordinator. We are based in the UK but wanted to have our wedding reception at home and chose the Glenview. The packages were great value and the one we chose was almost all inclusive. The food was delicious and we had loads of people say that it was such a lovely meal. It was a bit of a rocky start with our initial wedding coordinator who was great in person but over email left out a lot of info and wasn't very clear. However, Rachel then took over as our Wedding Coordinator and couldn't have been more helpful. She was great to work with, especially considering we live abroad. She was available to answer all and any questions and was quick to respond to emails. She met with my mother on a few occasions to go over extra details in person. I didn't actually meet her until a month before the reception when we went over final details for the day and she couldn't have been more flexible. She really went out of her way to ensure the day panned out just as we wanted it to. Hi Vicky and James, I hope you are both enjoying married life. Really thank you for such lovely words, so kind and this means the world to me and it was our pleasure to work with you both and plan your big day. It was such a beautiful day and we were delighted to be a part of this. I have passed this review onto all staff. Please do come back and see us soon! All the best, Rachel - Wedding Coordinator. 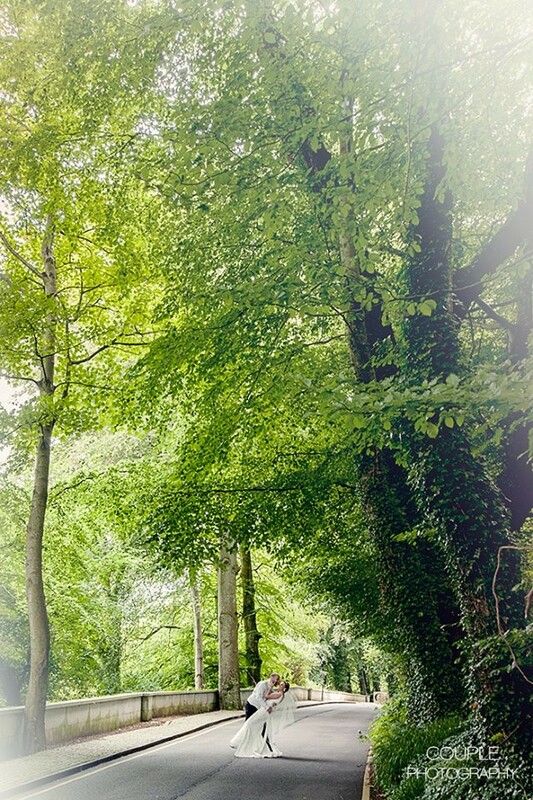 Glenview Hotel has beautiful well kept gardens with a surrounding forest walk wich is ideal for photographs.Our wedding planner Rachel who embraced our Shrek theme and was on hand to answer all our queries.All the staff at the Glenview just can't do enough for you and made us feel very much comfortable. The function room is an ideal size with beautiful neutral décor and our food was second to one. Hi Selma & Cian, thank you so much for such lovely feedback. You have both been amazing to work with and planning your Shrek themed big day was so much fun for myself and everyone talked about it on the day. 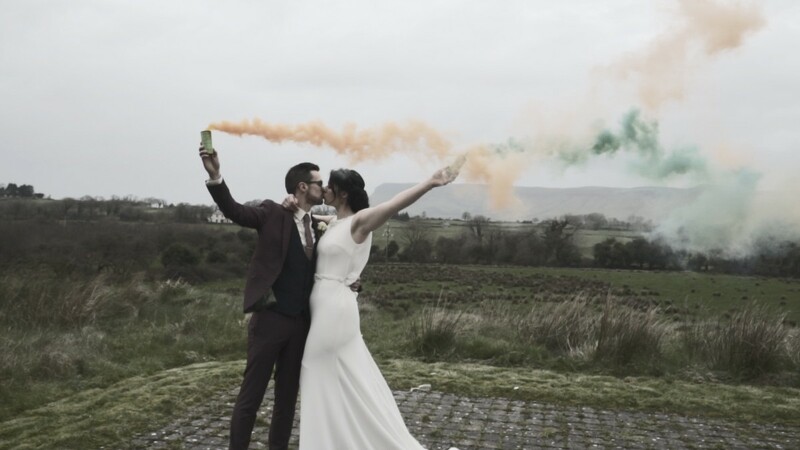 Congratulations on your feature in Irish Wedding Diary. We look forward to welcoming you both back again soon. Kind regards, Rachel and all at Glenview Hotel. Hi Frances, I hope you are both enjoying married life. Really thank you for such lovely words, it was our pleasure to work with you both and plan your big day. It was such a beautiful day and we were delighted to be a part of this. I have passed this review onto all staff. Please do come back and see us soon! All the best, Rachel - Wedding Coordinator. To all of the Glenview Hotel Team, we would really like to take this opportunity to thank you all so much for helping make our dream wedding come true. From the enchanting set-up in the Delgany Suite for our Humanist ceremony to the magical setting in the Ballroom, you fulfilled our every wish. The whole team managed to pull everything off for us, including facilitating the Bird of Prey display on the lawn. The whole day went seamlessly. All of our guests had a fantastic day and still rave about the great time they had at the hotel. Thank you again. Hi Marie and Alex, I hope you are both enjoying married life. Really thank you for such lovely words, it was our pleasure to work with you both and plan your big day. It was such a beautiful day and we were delighted to be a part of this. I have passed this review onto all staff. Please do come back and see us soon! All the best, Rachel - Wedding Coordinator. We had a our wedding reception at the Glenview hotel and it was amazing from start to finish. The wedding planner Kate was fantasic and had everything organised just as we had asked. The staff on the day were excellent and went above and beyond what we had hoped. The whole day flowed smoothly and all of our guests commented on how attentive and friendly the staff were. The food was delicious and the portions were generous! We got lots of appreciative comments from our guests about how much they enjoyed their dinner! The hotel itself is lovely and welcoming and we would definitely recommend it! We got married overseas, and the glenview made everything so easy! We can’t rate this place high enough. It was beautiful and the food was fantastic!! Hi Katie, I hope you are both enjoying married life. Really thank you for such lovely words, it was our pleasure to work with you both and plan your big day. It was such a beautiful day and we were delighted to be a part of this. I have passed this review onto all staff. Please do come back and see us soon! All the best, Rachel - Wedding Coordinator. Booking far in advance really helped so we had time to plan everything. The hotel's wedding co-coordinator changed between our booking and the event, but when we met Kate she got a great idea of what we wanted (and didn't want), and she was totally in control the whole time. She provided an excellent service. The food was excellent and amazing value. All members or staff were exceedingly helpful and friendly. The garden facility for our reception was beautiful and provided a great contrast to the beautiful dining room. Everything ran so smoothly and again, Kate being totally in control is entirely to thank for that. Beautiful surroundings, yet still a taxi ride to Dublin; its a perfect hotel venue! We had a great day. It was supposed to be outdoors but the weather did not permit. The staff decorated the room beautifully. Sabine was brilliant on the day. The food was beautiful. Our guests all said it was brilliant. We had an amazing wedding at the Glenview Hotel. From our first meeting with Kate the wedding planner at the hotel to the wedding day itself, we were treated so well and nothing was ever too much trouble to organise. We had planned to have our Spiritual Ceremony and drinks reception outside in the beautiful gardens, however, at the very last minute it rained. 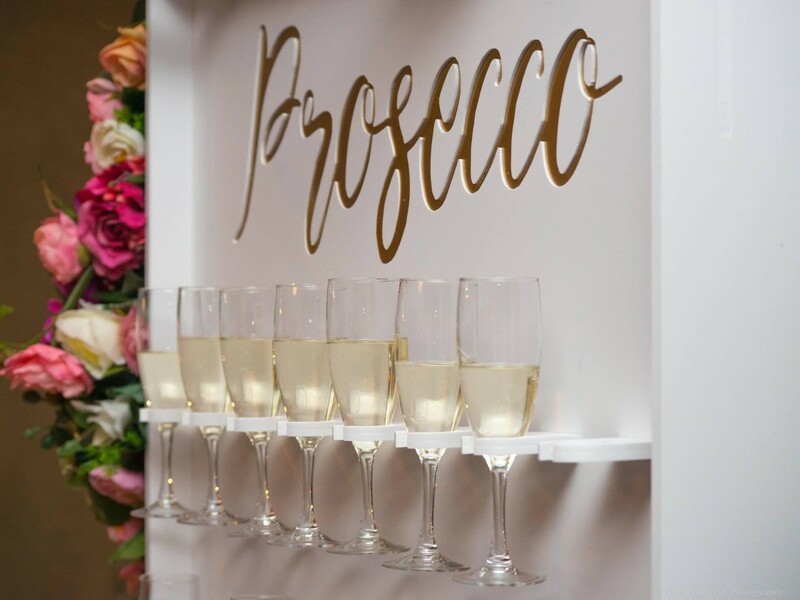 Kate, Sabine and all the staff worked tirelessly to move everything indoors and turned what could have been a disaster into a beautiful indoor ceremony and perfect drinks reception. The reception dinner was wonderful and our guests commented on how delicious the food was. The service was second to none with all the staff being polite and efficient. We cannot fault this hotel and are looking forward to going back again on our first anniversary (if not before!). A huge thanks to Kate, Sabine and all the staff at the Glenview for an unforgettable day. Hi Doreen and Larry, I hope you are both enjoying married life. Really thank you for such lovely words, it was our pleasure to work with you both and plan your big day. It was such a beautiful day and we were delighted to be a part of this. I have passed this review onto all staff. Please do come back and see us soon! All the best, Rachel - Wedding Coordinator. We had a small wedding in August that was simply incredible. We got married in the hotel. Due to rainy weather our ceremony was inside, but decor was fantastic. We went out to gardens afterwards for our photos. Wedding planner Kate was with us the whole time, assisting and guiding throughout the planning as well as the day itself. She even gave us pins as we were fixing our hair after we got caught in rain. What i found the most touching was how excited she was for our big day. Our dinner was in private room with gorgeous views. Kate had everything set up better than we wished for. Staff were wonderful, so friendly and welcoming. We had extensive menu choices and food did not disappoint. Massive thanks to wonderful Kate and every member of the staff who made our day so unforgettable. We had intimate wedding in September. Views and location of this place are simply stunning. 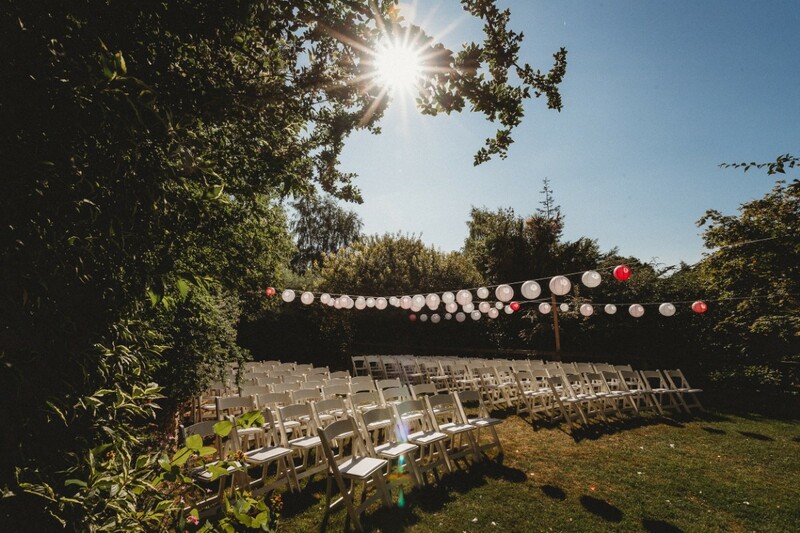 Our ceremony was in Gardens and left all our guests awed. We had half of our wedding party travelling from abroad and they were surprised and delighted beyond. Kate, the wedding executive is an asset to this place. She was absolutely amazing, full of ideas and not just random wedding suggestions. She always listened, knowing what we like and her suggestions were based on our taste and requirements. She did bilingual menus for our wedding and to our surprise she speaks Russian as well. My guests were absolutely thrilled about this. It's always good to have someone speak in your language so far from home. Both Kate and Sabrine were so good with our child guests, extremely patient and playful with them. Hotel also provides babysitting service, which we found amazing. We will be coming back here for friend's wedding and few family occasions and we honestly can't wait. 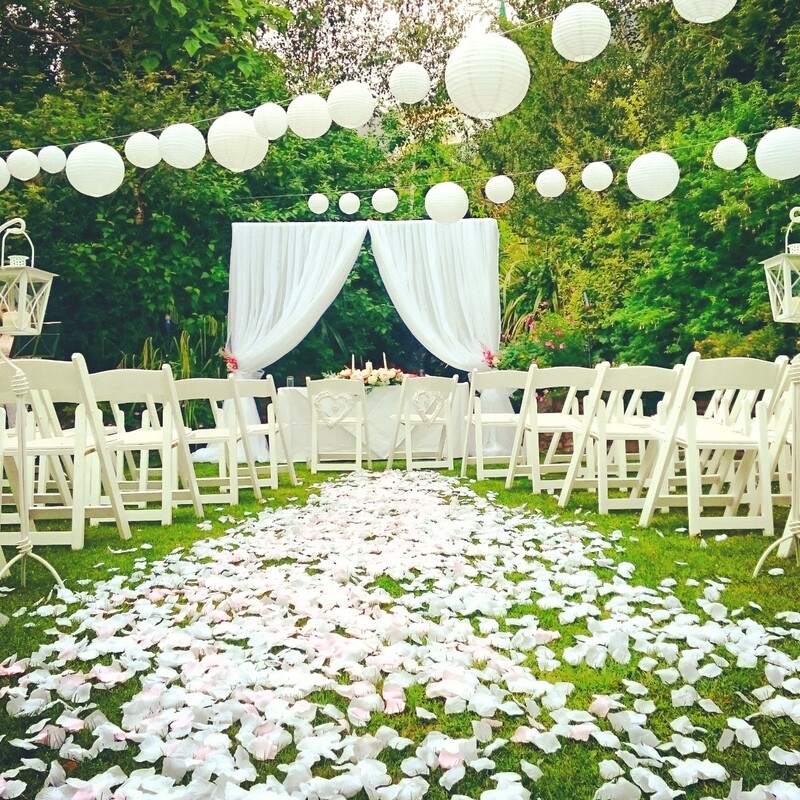 We had a magical little wedding and ceremony in private Gardens at the Glenview. Kate was our saving grace. Anything i needed regarding hotel setup or even recommendation on suppliers, colour theme, flowers, she was there for us. Day was truly unforgettable, we would do it again if we could. Massive thanks to Kate for her incredible commitment, guidance and professionalism. I had list of questions, queries and my share of bridal panic moments. Kate was always there to solve, answer and calm me. She was so sweet to our kids and provided colouring books to entertain them. We admired these little touches. Our wedding day was incredible, from moment of greeting to the very point of checking out. Thank you to Kate, staff and chefs for coming together and making our day so grand! Got married at the glenview hotel wicklow stunning hotel and grounds.Food fantastic .Hotel staff couldnt have did more . Kate was so good great wedding planner .Defnitly reccommend this hotel for weddings we had an amazing day food was delicious and plenty of it.Gardens are what make this hotel so good cant wait to see our photos ???? Dear Trish and Gar, thank you for taking the time to leave a lovely review. We were thrilled to have hosted you and the family and we are already looking forward to welcoming you on first anniversary and numerous happy occasions beforehand. Kate and the team Glenview. Hi We got married in the Glenview on the 1st July 2017. To be honest it was wonderful, we were blessed with the weather but they had decorated both the outside space where the service was and the outside bar area for the drinks reception fantastic. It looked amazing - just like the pictures - there were no hiccups - the sound was in the right place for the guys to play, the guests were well looked after, it all went on time. The wedding reception room was done up beautifully as well, name places and tables all correct, again there were no issues food served on time, room cleared when needed to be. The staff were kind and funny. The food was spot on, everyone was delighted with it, I thought I wouldn't be able to eat, I ate loads :) So leading up to it there were one or 2 things we need clarification on these were addressed immediately and with no hassle. Brian and Kate were great in sorting out any questions etc. I cant rate this place highly enough, very family feeling abut it and I felt they genuinely cared. I'm blooming holding back me happy tears up as I'm writing this. The setting is fantastic as well - so location, food, helpfulness, kindness, and professional..... you cant ask for anything more. I have had a hundred texts, mails from my guests saying it was the best wedding they were ever at....and we cant thank them enough for making it a wonderful day. The venue was a great place that all of our guests appreciate. The staff was incredibly kind and professional. Kate is a lovely person and i will definitely recommend this hotel. Dear Ibtisem, thank you for your lovely review. It was such an amazing experience for us as well to host you, Vincent and your adorable children. Little Adam was so adorable, he was indeed one of our special guests. I hope to welcome you and Vincent on our first Anniversary. it was absolute pleasure having you. Warmest wishes form Kate and the Team Glenview. Our wedding day was the most important day to us and the staff at the Glenview really helped this be just that. We had our ceremony in the gardens and a BBQ the next day. The Glenview and it's unique grounds made for the most picturesque wedding setting. We used the photographer Anna G and florist recommended by the hotel and they did a great job. The food was fantastic & delicious and was enjoyed by all. The hotels staff were very accommodating and ensured everything was set exactly how we wanted. 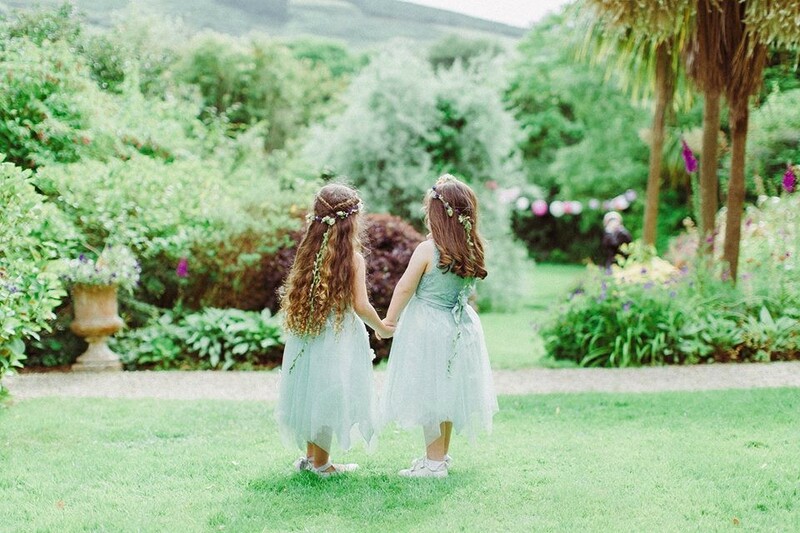 Kate and Aoife made sure everything went smoothly and were to hand to assist us and our family and friends really enjoy their time in the Glenview. I would strongly recommend this venue for anyone getting married, the food and scenery and staff made our wedding day such a day to remember. Dear Teri, thank you for your lovely review. I must say you and Rhona looked so incredible and it was such a special day here at the Glenview. Weather was just perfect, i'm so happy you got to have ceremony and drinks in our private gardens. Our florist was so invested in providing a setup. I'm thrilled that you liked the room. I will pass on your comments to everyone. Looking forward to have you back from States once again. My best wishes. Kate and the Team Glenview. 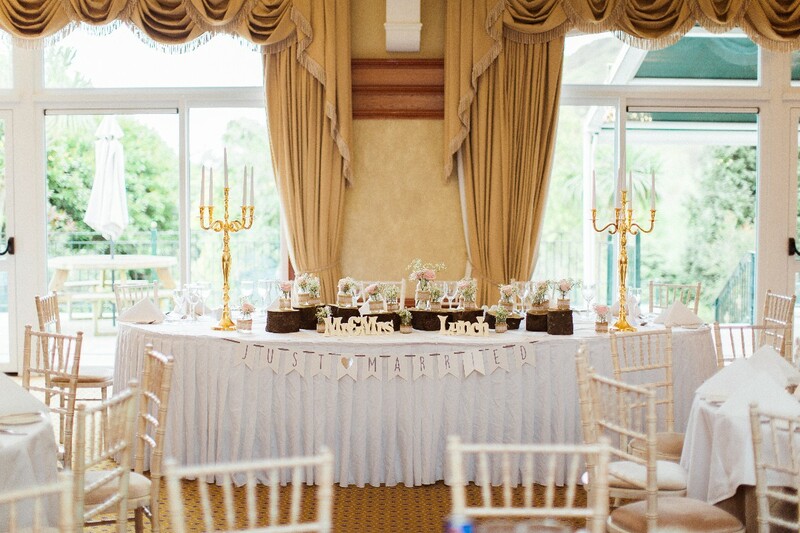 We had our wedding reception in the The Glenview Hotel in June. We've always loved the hotel and after looking at other venues nothing compared to the setting of the glenview. 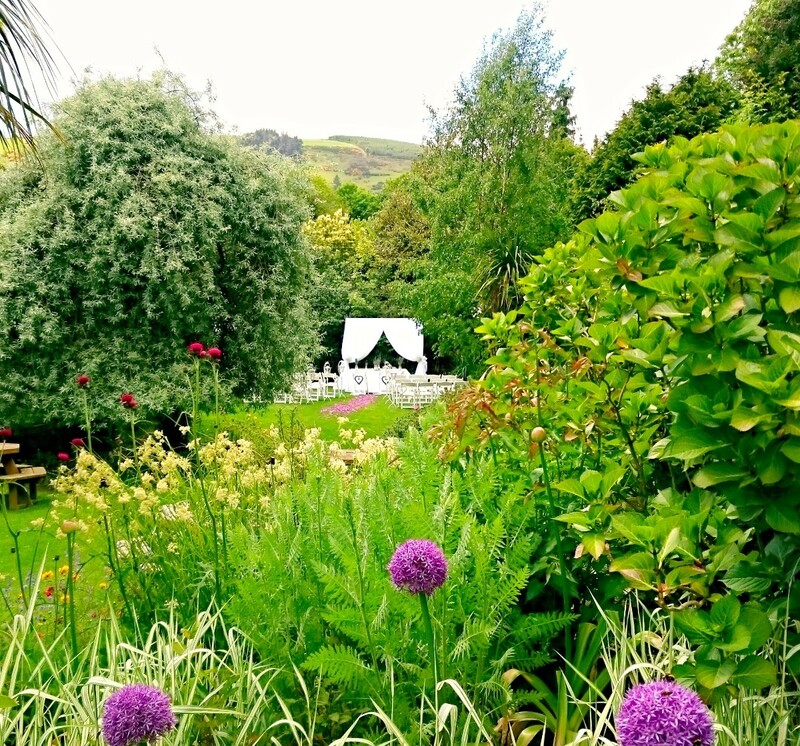 The views of the Glen of the Downs are beautiful and the hotel gardens are stunning. We had our drinks reception in the garden and it was just as amazing as the pictures. Kate and Sabine and all the staff were a pleasure to deal with. Nothing was too much trouble, including the boxes full of decorations I dropped in the week of the wedding. Kate and her team decorated the function room beautifully for us. The food was excellent and the service was super on the day. All of our guests have complimented the hotel several times since the wedding. I would highly recommend this hotel to any couple looking for a stunning venue. Glenview hotel was a perfect location for our wedding reception. We could not have asked for a better outcome despite the weather. Kate definitely handled everything in a professional manner and we could not be happier! Thank you so much for making our wedding day memorable. Kate wedding planner was excellent.every thing was perfect on our wedding day, food was excellent all our guests said it was the best they had and they have been to a lot of weddings in other hotels,service was also excellent,mags and peter would like to thank Kate and all the staff in the glenview hotel for a wonderful wedding day. We had my sister's wedding at the Glenview hotel. It is such a fantastic place with incredible location. It is right off the motorway and yet completely secluded and private. Wedding executive Kate was out of this world. She was so helpful and was always there with advise and suggestions. I had a surprise arranged for my sister and her husband-to-be. Kate was amazing to assist with everything, giving measurements for the ballroom, going through logistics of the day to make sure it was all timed right and helping me to make sure it was a wow-factor. On the day she and her team were so helpful. We were having amazing time and if anyone needed anything they would appear like fairies. Food was fantastic. I had starter of Vol Au Vent, which was so hearty and delicious. We had sorbets in between, which was passion fruit and mango followed by main course. Most of us on the top table had Sea Bass which was incredible. I had french lemon tart as dessert. My husband is coeliac and kitchen had fruit meringue ready for him on minute's notice. I'll recommend this venue to anyone who wants to have an unforgettable wedding. we had are wedding in the Glenview hotel in June, it was a fantastic day and the staff couldn't do enough for us . food was fantastic, and a lovely atmosphere. Enjoyed by all. Most amazing day!! Fantastic venue. Our day had a beautiful flow.. staff were so lovely and very professional. All our guests loved our special day. I truly felt like I was in a fairytale!! with the beautiful scenery, and we were blessed with a beautiful sunny day! Dear Michelle, thank you fro your lovely review. It was such a pleasure to host you and Ger on your special day. We are still talking about how amazing your New York photos were and how lovely your outdoor ceremony way. I'm looking forward to host you again on your 1st year's anniversary and many other happy occasions. Warmest wishes from Kate and the Team Glenview. We had a hotel booked before Glenview, but we did not feel anyone cared about us, maybe because it wasn't a big wedding. How glad i was that we found Glenview and met Kate. She made us feel so loved. When had a phone call with her the first time where she took down our details, what we were looking for and our vision of the day. Our first meeting was few days later. She showed us around and underlined all the facilities that would be relevant to us. I explained our situation to her and how we felt in place we had booked previously. She said no couple should feel neglected. It's the feeling of the day that matters, not the size. Straight away we knew this was the place for us. 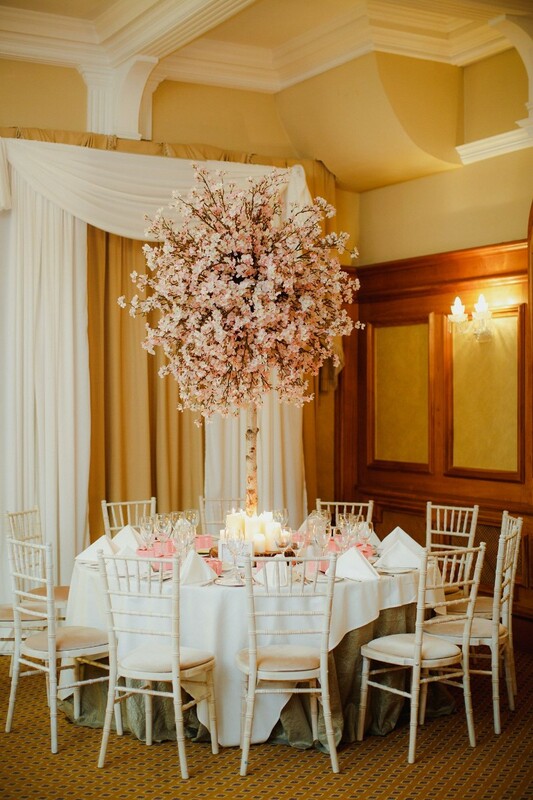 We had mentioned that we wanted cherry blossom theme and we were gobsmacked when she had cherry blossom menu template and place card example with beg holding a cherry blossom. It just shows how well she listened and understood our vision. On the day, room was absolutely gorgeous. Hotel florist Vita had amazing centerpieces and Kate matched table plan template to our invitations. Food was excellent. presentation and taste were top class, especially main course of sea bass. We also had few vegetarian friends who were given a choice of dishes. That doesn't happen very often in other venues, This was the most memorable day to us. Thank you Kate for your wonderworks. Please pass on our compliments to chef and staff. Lisa B. The Glenviee hotel was the perfect venue for our wedding. The staff were extremely helpful in the build up and always available to answer any questions we had. The venue was beautiful and both us and our guests had absolutely no complaints at all. The food was gorgeous and served on time. The views from the venue are spectacular and are a real compliment to the day, we will definetly be recommending The Glenview to our friends in the future. Dear Luzia and Donal, thank you for taking the time to review us. We were so thrilled to host your wonderful wedding day. I absolutely loved the sweet display of those incredible Brazilian sweets. I will pass on your comments to our staff. Thank you again and we are looking forward to welcome you again in future. Best wishes from Kate and the Team Glenview. We thoroughly enjoyed our wedding reception at Glenview. Thanks to Sandeep and his team in the kitchen. Everything was cooked/prepared to perfection and we received so many compliments on the food, it was really amazing. Sabine and the rest of the wait staff took such good care of us and all our guests on the night. Everything was well organised and the service top notch. Kate the wedding planner went out of her way to help plan our day. She was able to accommodate all our requests and made brilliant suggestions - the evening food chip van was a real hit with our guests! Overall can't fault anything about our experience and Glenview made our wedding day so special. What can I say about this amazing hotel. We are so happy we picked this as our venue. We had a little panic moment when we were notified about change on wedding planners but little we knew how amazing Kate would be. She invited us on private meeting soon after she started, she had a full knowledge of our file and went gradually through everything. Our hearts were at the right place from the moment we met her. She had made some amazing recommendations about menu and decor. We were getting married there and with amazing weather, we got to use gardens. Kate and her staff had colorful lanterns, cherry blossom trees and candles everywhere and made it look like fairy tale. She even got us golden glitter tablecloth for cake table to have matched my pink/golden theme. Food and wine were lovely. Lady called Val was serving our top table and she was incredible. Kate also gave us engraved champagne flutes for us to keep. Isn't it just wonderful? Highly recommended venue, extraordinary wedding planner and amazing staff. Our wedding at the Glen view was incredible. We were lucky enough to had a wonderful weather. 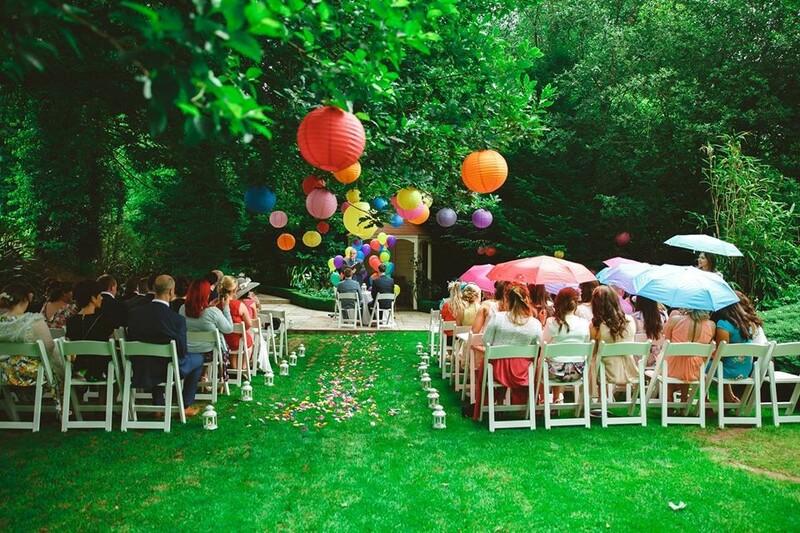 Ceremony gardens and main garden had colorful lanterns to have matched our theme. We had printouts for our guests and Kate made them in scrolls and tied with yellow ribbon (yellow was our theme). She was always there to help us, on email, phone or meetings and always open to new ideas and suggestions. Food was out of this world. Taste and presentation, all top notch. We had met head chef prior and everything was delivered as agreed. We highly recommend this venue and Kate with her masterful wedding planning skills. We had gorgeous little wedding at the Glenview. It was rainy day and we couldn't use their gardens, but indoor lounge and ceremony room was incredible. Kate had arranged for some extra decor to have matched our theme and she got us golden candelabras that were amazing addition to our dinner reception. We want to thank Kate and Sabine who assisted us at every step of the way and made is feel like royalty. Looking forward to out very special first year anniversary. Kate, the wedding planner was fantastic and very easy to liaise with. We had a wonderful wedding in Glenview. I can't fault the service on the day, particularly Sabine who was an absolute star to work with - she's so efficient, caring and straightforward, which is what all wedding couples need! 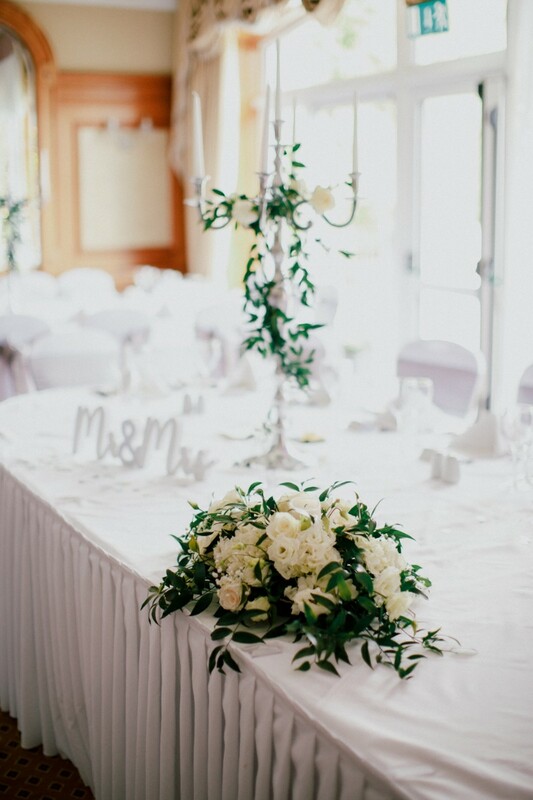 We were married in the Woodlands restaurant, which gave us stunning views and the room was beautifully decorated. We were a bit unsure how the hotel would pull off our "Batman" theme for the reception, but nothing was too outrageous for them (including the bat signal we had projected onto the floor in the ballroom - provided externally). The only fault I had with Glenview was the change in wedding coordinators during the process. The person changed 4 times during the planning of the wedding, each time we were not informed of the change (which is why I only marked 4.5 in professionalism as I felt we should have been told). It was only when I contacted them myself, I was greeted by someone new. This was incredibly frustrating for myself and my husband, but when we met Sabine (who works in operations) we were completely put at ease, as she's the one that looks after everything! All of the staff in the Glenview were incredibly professional and kind towards all of our guests - nothing was too much trouble for them. Our family and friends are already planning their return trips to the hotel for the amazing food and beautiful walks! Any suggestions that we had even if the glenview couldn't accommodate they had an alternative that worked just as well. We thoroughly enjoyed all of our visits to the Glenview, they made us feel like VIP guests every time we were there. Arranging our wedding from overseas was made so much easier thanks to them.There wasn't anything that was too much trouble, every time we had a request it was granted and with professionalism. Alina was the best, we don't know how we would've done it without her. We had our wedding on the 4th June last, we had a beautiful sunny day and the welcome reception in the garden was spectacular! All the staff were so helpful and efficient on the day and we just had to sit back, relax and enjoy! The food by Sandeep and his team was exceptional and everyone complimented the menu and choices available! Alina was an angel from start to finish, we couldnt recommend her highly enough! A fab day to remember was had by all! Thank you again! We had the most amazing day at our wedding recently in the Glenview hotel. Everything was just perfect on the day, and everything that we had planned for the past 5 months just fell into place! Alina thank you for all that you did for us. We had our wedding fully booked down to the florist a year and a half in advance, and we got a nasty shock when we our period venue revealed that they had no bar license. Panic ensued!!! Deposits had been paid and we were all set for our bank holiday wedding. I spent days researching venues and putting in a call to every suitable one that could hold our number. Of the 28 venues I called, some could not have been less courteous if they tried, others promised information that simply never landed in my inbox, and some wedding coordinators didn't even seem to know the basics like room capacity and €/ head. I remember the call to the Glenview still - Alina, the Glenview wedding coordinator answered, she was so sympathetic and she just got me, plain and simple. She understood the stressful nature of the situation we were in, had the date we needed and sent on the relevant information while we were practically still on the phone - I knew that this was the venue for us. I got off the phone that day with a genuine sense of relief that everything was going to be just fine. We visited the venue, fell in love with the gardens and the surrounding forest walk - perfect for pictures. The function room was the perfect size, and I loved the neutural decor (no crazy coloured carpet or cheap paneled ceilings). Alina was wide open to every little hair brained idea I had about what we might like to do decor wise for the wedding day, I am an event planner and a Pinterest-aholic. I suggested rubber ducks in the fountain at one stage just to test the waters, we didn't do that, but I loved that if we were passionate enough about rubber duckies - we could have done that :) Some venues can be quite fussy about what they will and won't allow in decor terms. All along the way Alina was terrific, she was brilliant at returning calls and emails about any wee thing I queried, and she is also backed by a great team - Urmas in reservations, and Sabine in events. We had our tasting and the only complaint we had was that we were too full to finish our courses, the food was great. I loved that our guests were going to have choices for starter and mains, without the additional supplement fees/course thrown in. The Glenview ticked a lot of our boxes. 5 days before the wedding, we arrived with 2 car loads of boxes of homemade crafts for the day and went through everything in painful detail regarding how we wanted it all set up on. When we arrived at the Glenview after the ceremony, we went to the ballroom to check everything, we needn't have bothered - the room was set out perfectly and we could not have done it better ourselves. Our wedding day was the best day of our lives. Everything went so well, the room was beautifully set up, the food was plentiful and tasty, the service was spot on - not too long between courses, the staff were brilliant. One of my guests spilt half a glass of red wine over her black and white silk dress, Sabine came to her rescue in a flash with soda water and got it all out... to everyone's surprise. The whole day ran so seamlessly, and the positive feedback we have had from all our guests has been phenomenal. If you want to truly enjoy your wedding day, booking a trustworthy and capable venue is key to that. And you need to have a wedding coordinator who is genuinely as excited about your day as you are. I never once felt like I was just a number dealing with Alina, down to following my Pinterest board and helpful tips based on her vast experience - she could not possibly have done more. Pretty sure I spoke as much about Alina in my speech as I did my new hubby :) No bride wants to be a ball of stress in the run up to, or on the day. Hand on heart I loved every minute of it, because we did not have to worry about anything as it had all been planned and executed so well. I could not recommend the Glenview Hotel highly enough - this venue is great because of the people who work there, and if you have your wedding here your day will be great too. We couldn't have been happier with the service in the Glenview. All the staff went above and beyond to make sure our wedding was the best day we could have. They were so accommodating, even when we had to postpone at short notice. They transferred all the information over to the new date for us and made sure that everything went smoothly on the day. We were so happy! Had one of the most wonderful days of my life. Stress free, calm, easy and care free. From the moment I walked in the doors of the Glenview on my wedding day I was happy with everyone involved. So kind and friendly. Everything was set up and ready to go. I didn't have to worry about anything. The food was amazing and the staff were wonderful. Alina went above and beyond when helping me plan our day. So grateful for all the help from the Glenview staff. Would recommend this venue to anyone and everyone. 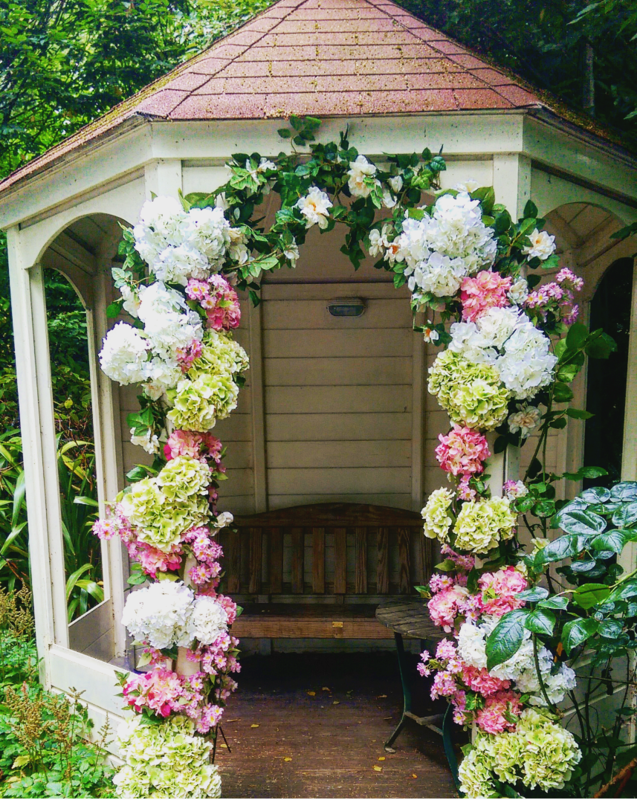 We had such a lovely time from booking to saying I-Do, Alina and the staff where so helpful and its great value for money the function room and grounds are beautiful, we couldn't of asked for more from a venue. Alina was brilliant to deal with and helped us out a lot. Just like to thank Alina again for helping us so much with the wedding we will see you soon. I searched many different hotels to find the perfect place. I was willing to spend a fortune as many brides may feel but never say. My mind was pretty much made up on certain venue, but I have visited quite a few. I also went to Glenview Hotel to have a look with another venue still wedged in my mind as number one. But that all changed when I met the wedding planner in the Glenview Hotel. One of the biggest reasons I picked Glenview was Alina. She was a game changer. I sat there listening as she painted a beautiful picture of how my wedding could be. Not once was she negative. Which I had experienced because I only started planning my wedding three months prior and I was going to be 6 months pregnant getting married. She saw it as a challenge. Alina was so flexible, bending to what I wanted and then happy to help when I wasn't sure what I wanted. She made it personal, I felt that she really cared about how our big day was going to be. When I got nervous she was available pretty much 24 hours a day emailing me anything from cake ideas to last minute details. Alina never forced her ideas on myself and my husband. She simply suggested and she always went for the best ideas that were cost effective as well as beautiful. I was working at the time and didn't want to have to worry about too much. I chose the Ultimate Package, which pretty much did everything for me. The lazy brides package as I called it. I trusted Alina to give me my dream wedding and she delivered. The Glenview hotel is made up of people, hardworking and dedicated to giving you everything you want. Alina was the one who sold Glenview to myself and my husband but the people of the hotel helped deliver the dream she promised. The chef Sandeep, there are not enough words to describe how helpful and just plain dedicated this man is to his job. He could not do a enough for us offering to change dishes around for us and perfecting the dishes we wanted to the guests taste. Our wedding was a mix between Indian taste and Irish which would be tricky for some but not Sandeep. The food was to the highest standards. I received countless compliments about the food from the guests. The only thing they gave out about was they couldn't eat more as they were full. Sabine what can I say she was amazing so hard working and her attention to detail was out of this world. Sabine had the work ethic of a Lieutenant, the patients of a saint and the kindness of a lamb. She was fun also smiling and laughing with the guests while making sure everything ran smoothly. Our photographer Anna was recommended by Alina another amazing choice. Anna worked non-stop from morning until night taking photos. Anna made sure the smallest detail was prefect while also capturing very natural poses. Glenview made our day amazing and stress free. I will never forget what they have done for myself and my husband. Thank you for the memories. All the staff in the Glenview right from our first viewing until after the wedding couldn't have been more helpful. a particular mention for the wedding co-ordinator Alina who was available to help us at any time and was brilliant in putting us in touch with potential suppliers, and also to the waiting staff who served some of our vegetarian guests going above and beyond to ensure that they enjoyed their meal on our behalf. The grounds of the hotel are stunning and provided us with ample opportunity for incredible pictures, particularly with the autumn colours in the gardens. We have a wonderful experience, we couldn't ask anymore from the hotel staff as they were fantastic, all our guests and ourselves we're delighted with the high quality of the food, Alina did a fantastic job throughout all the planning of the wedding, we also had the opportunity of being taken care by Sabine and Vivienne who like Alina were exceptional. We planned our wedding at the Glenview as a couple we know had got married at the glenview hotel and recommended the hotel to us, we are delighted that we took their recommendation as the highly trained waitressing staff, wedding planner and on the day organisers made this truly the best day of our lives that we will never forget. The penthouse room and view are amazing and guests who stayed at the hotel also complemented the high standards of the hotel facilities and staff. Dear Liz & Martin, a big thank you to you! We are so happy to hear about your great experience with us all throughout the planning process and on your wedding day. I hope to see you both again soon at the Glenview Hotel and please pass on my regards to both your families in Ireland and Mexico! Best Wishes, Alina & The Team. We were the very lucky winners of the 50% off your wedding package prize with Glenview but we had picked the beautiful Glenview Hotel long before we won this amazing prize. Who could say no to the beautiful scenery and Gardens. Our wedding planner Alina was a pleasure to deal with and was great with helpful advice and tips along the way as we booked our special day! On the day of our wedding the staff were always on hand to help or advise and made sure all our guests were well looked after. The food was delicious and there was no problem catering for the special dietary requests for myself(Vegetarian) and some of our guests. We held our drinks reception in the beautiful gardens. All of our guests really enjoyed this and said it was like an extra like party before the main reception. I would definitely recommend this venue for your special day! We booked the Glenview Hotel at the RDS Wedding Fair after speaking with Vivienne. Vivienne took the time to talk to both myself and my now husband as I had concerns how they would manage a meal with someone who is highly lactose intolerant. We then met with Alina who reassured me that the hotel would be able to cater for my needs, she even got the Head Chef to come talk to me which spoke volumes to both of us. Alina was very helpful right from the start, with ideas and suggestions for our 'Special Day'. Alina we would like to say 'Thank You' for all your assistance. Alina went out and got flowers to match my bridesmaid colours, cobalt blue for the hotel and function room. The function room looked amazing and surpassed our expectation. 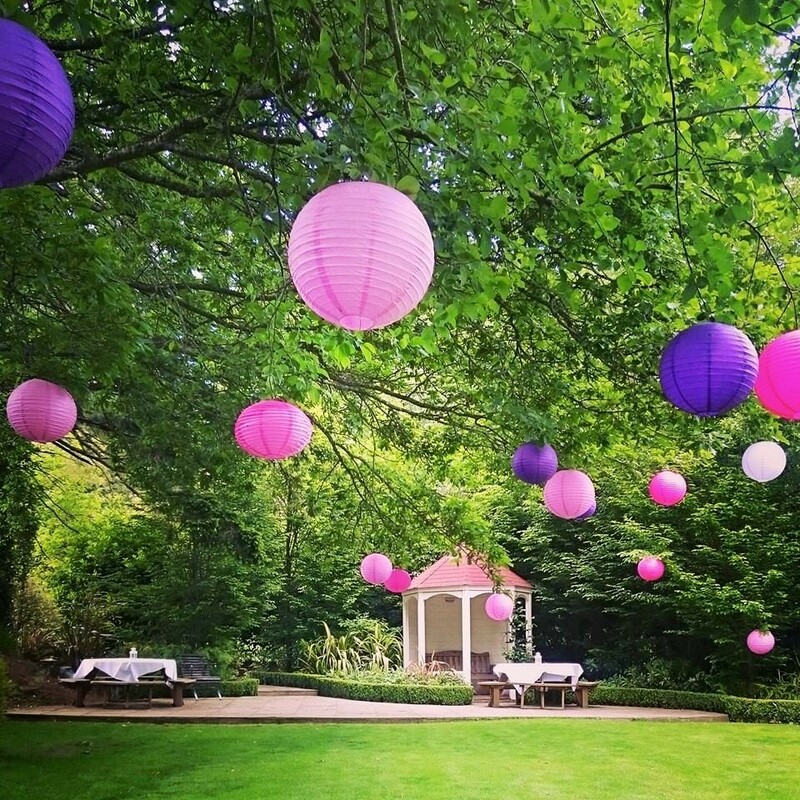 The gardens were also decorated in the bridesmaids colours and all our guests loved how the gardens were decorated. Every detail was taken care of and all the staff went above and beyond to ensure 'Our Day' would hold a lasting happy memory with us and our guests. Special 'Thank You' also to Sabine who went out of her way to make a posey from my candle arrangement in order to have a bouquet to throw. We had the best day ever. From the very first day that we met the hotel wedding co-ordinators we were impressed. Alina and her team at the hotel are all just amazing! They went above and beyond our expectations. They were always at the end of the phone or email whenever I had a question .... and I felt at ease the morning of the wedding knowing the hotel had everything under control. 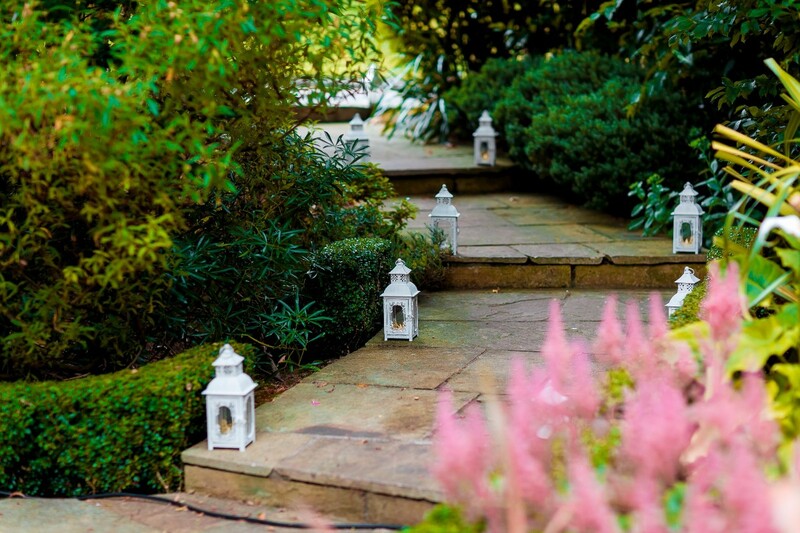 We had our ceremony outdoors in the magnificent gardens of the Glenview. Amazing experience and our guests all said how different it was and how much they enjoyed it. Unfortunately the weather didn't hold up to have our drinks ceremony outdoors ... but the hotel did of course have a back up plan, and we had a lovely drinks reception indoors. Our guests loved the food, the wine and the hotel as a whole. Our guests all had an amazing day. I would not hesitate to recommend The Glenview Hotel. Alina and her team will make sure you are well looked after. We got married in the Glenview Hotel just over 3 weeks ago now, and could not be happier with our choice of venue. The wedding coordinator, Alina, was a pleasure to deal with and made the planning process so easy for us. She was always at hand with helpful suggestions and excellent recommendations of suppliers, like the photographer she suggested which we were more than delighted with. We think she even controlled the weather for us on the day! The hotel itself was fabulous, we were lucky enough to have an outdoor ceremony in the gardens by a beautiful waterfall and the scenery and views were breathtaking. All our guests commented on how good the food and service was definitely worth a 5 star, nothing was too much trouble, from the bar staff, to Valentino taking such good care of us at breakfast the next morning and the excellent F&B manager Sabine who ensured everything ran perfectly on the day. A massive thank you to all, we really could not have envisioned a more beautiful wedding and cannot recommend this hotel enough. From the very outset Alina provided a professional yet friendly service. Living abroad made it more difficult to plan our big day, but after having met Alina once we knew we were in safe hands. In the run up to the wedding day her advice was invaluable and on the day itself the entire Glenview team stepped up and gave us a truly memorable and perfect wedding day. Couldn't recommend Alina and the team enough. My husband and I got married in the Glenview 4 weeks ago today. It was the best day ever. All the staff did there upmost to make our day special. The wedding organizer Alina was fantastic over the last year and made sure everything went smoothly. We would definitely recommend the hotel to anyone looking for a venue for their wedding Loved everything about the Glen view from staff to hotel itself. My wedding at The Glenview Hotel in July 2015 was a beautiful outdoor Humanist Ceremony. The attention to detail I received from all the staff and especially from the wedding planner Alina for her professional expertise made us feel very special. Everything from the amazing food, Shirley the beautician to the beautiful romantic gardens was taken care of by the hotel. It was a beautiful magical day for us and I would have no hesitation in recommending The Glenview Hotel to any couples who are currently looking for a wedding venue. The Glenview was the perfect venue for our wedding celebration. All our needs were catered for and nothing was too much trouble. Alina was so helpful from the outset, assisting us with every aspect of our day. Her attention to detail and great ideas really made our lives much easier. Alina also assisted us in organising our photographer, who was very familiar with the venue and again, went above and beyond on the day itself. Seamus and the rest of the Glenview staff were impeccable on the day itself. We couldn't have asked for more. 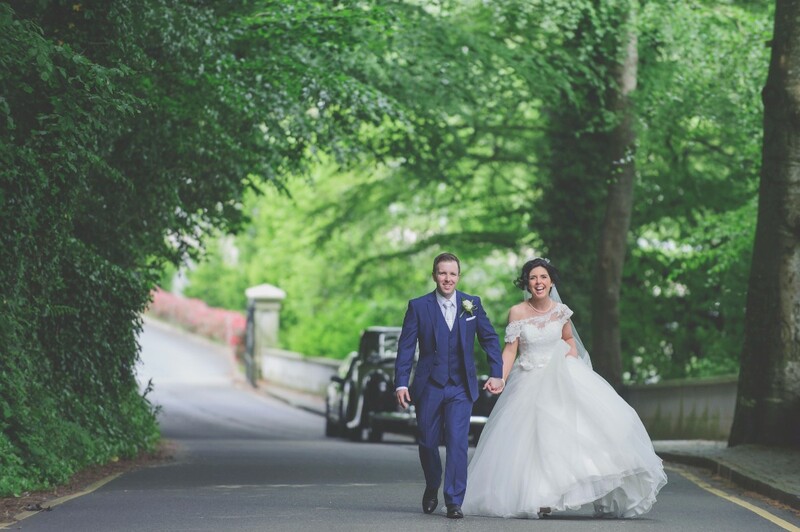 We would recommend the Glenview to anyone looking for their ideal wedding venue. The Glenview Hotel has always been a special place for me having spent many a family occasion celebrating there. On meeting with Sabine, the event organiser, to view the hotel for our wedding we were very impressed with her attitude and immediately trusted her with our special day. Our view only improved upon meeting Alina, the wedding co-ordinator, who with her bubbly attitude, creative ideas, quick responses and general helpfulness made for enjoyable wedding planning and organisation. 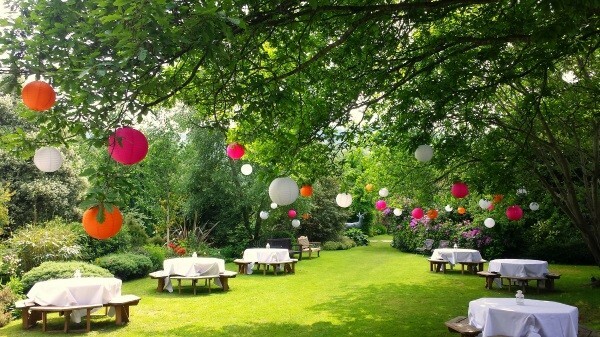 We were delighted on the day itself to be able to enjoy the lovely gardens for our drinks reception, there was a lovely relaxed atmosphere created which allowed us and our guests to fully enjoy the day. The gardens were also perfect for taking the family photos without having to travel far away. We were so happy with our wedding day and would not hesitate in recommending them to any engaged couple. Thanks a million to Alina and Sabine for a free-flowing, hassle free, exciting and wonderful day! We had our wedding on the 18/6/15 in the glenview I can honestly say it was the perfect location. We were lucky to have our ceromony outside in the beautiful gardens ..The weather was fab. The staff were amazing and catered for our every need.Everyone commented on how delicious the food was .. hands down the best day of our lives. I would highly recommend the Glenview for any type of occasion.! Thanks again to all the staff for making our day so special ? Hi Alina, just wanted to say a massive thank you for everything on saturday, and the months leading up to it. it was a magical day. Everything was so perfect thanks to you. We couldn't have asked for more. The food was fantastic and everybody had an amazing time. The attention to detail was outstanding and we were made to feel so special all day. Thanks again!!! 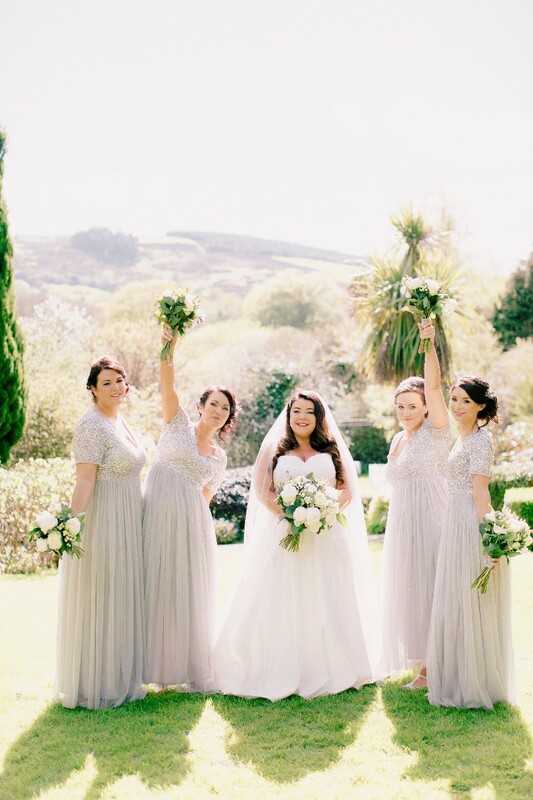 We had a wonderful day in the Glenview Hotel on May 1st and the setting was stunning. At every meeting in the run up to the wedding, Alina was friendly and enthusiastic. There was fantastic attention to detail and great value for money. Both the function room and honeymoon suite were beautiful. Everything on the day went smoothly so we were free to thoroughly enjoy our day! Thank you! The most we liked about our experience at the Glenview Hotel is how welcome we were made feel, the hospitality. Staff are very nice and helped with any requirements that my husband and I had! All our guests were delighted with the hotel, lovely grounds, food is fabulous. Thanks to everyone at the Glenview hotel, we had a fabulous wedding day thanks to you! A huge thank you to everyone at the Glenview Hotel. Nothing was too much trouble for the staff. Sabine was amazing on the day and kept everything running smoothly. Alina had some brilliant ideas and was so helpful leading up to the wedding. She even helped us in finding vendors, and went above and beyond by turning up on our wedding day which was her Saturday off. The function room surpassed all our expectations, so much effort went into the décor and we were delighted with how everything looked. The food was consistently excellent. We had so many compliments on our wedding, and had such a perfect day. Every detail was taken care of and we can't recommend you all highly enough. Thank you for making us all so welcome! The Glenview Hotel proved to be an wonderful location for our wedding reception. The wedding manager took time to listen and understand our particular wishes and requirements, and made us feel welcomed from the first meeting with her. The ballroom was fantastic and beautifully decorated on the day. Food and drink were plentiful and very high quality, and the beautiful hotel grounds were a perfect backdrop for photos, even in late autumn. We found the hotel staff to be helpful and professional, and our guests all enjoyed their stay. In summary, Glenview Hotel exceeded our expectations for a wedding venue and we are more than happy to recommend it! Hi Alina, we just wanted to say 'THANK YOU SOOOO MUCH' for all your amazing help, support, creativity and inspiration for our wedding. You really added so much to the planning and build up - getting us on board with having a theme and doing some DIY crafty things! It wouldn't have been the same without you and we really appreciated it. We'd also like to say a massive thanks to Sabine and her team who did an amazing job on the day as well. Sabine was just so efficient and on top of everything ensuring the nights festivities went seamlessly! Hi Roisin & Tomas, thank YOU so much for the wonderful words and for giving us the opportunity to make your wedding day extra special! It means so much to hear. It has been my absolute pleasure helping you organise your big day, I have enjoyed every step of the planning! A big well done to you for putting so much work into it, it was great to see all the ideas becoming a beautiful reality. I hope to see you both again soon at the Glenview Hotel. Wishing you lots of love and happiness, Alina & The Team. My husband and I visited many hotel venues for our wedding day, but the Glenview topped our list immediately. We were given such a warm friendly and relaxed welcome. All of the staff are extremely pleasant, helpful and courteous. We had many visits back to the Glenview before our big day, we attended the leisure centre many a Sunday for a swim sauna and dip in their outdoor hot tub, followed by dinner in either the fabulous Woodlands restaurant with stunning views, or their Conservatory bar for delicious Sunday carvery. We were given 6 months complimentary membership to their leisure centre when we booked our date. Our wedding co-ordinator Alina, was fantastic, from the word go, she was a pleasure to work with and gave us so much of her time. Alina helped us to choose a theme, colour scheme, she looked up ideas and got to know what we liked and would email me with suggestions. She saved us money too especially with our garden decorations for our arrivals reception. Alina took a lot of our stress away, being so helpful and attentive. I loved that she was so excited and enthusiastic about our day. 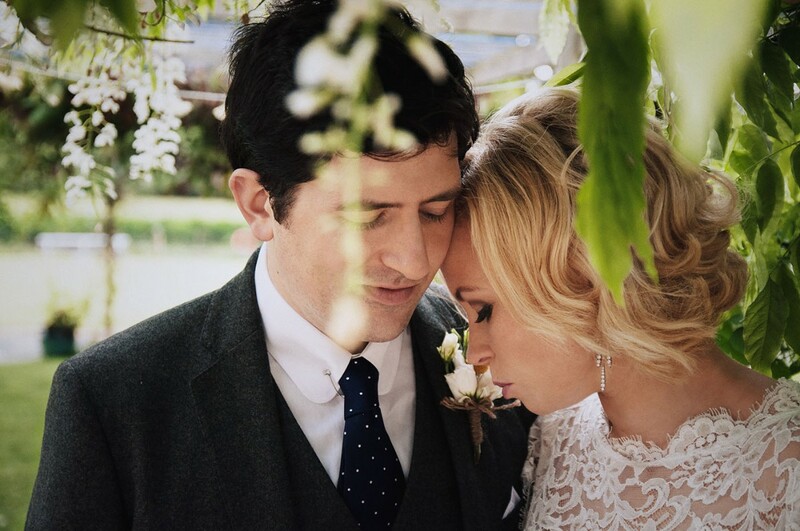 Our wedding day was like a fairy-tale, we had a fabulous day from start to finish, the sun was shining, guests relaxed outside on arrival, in stunning surroundings, nobody wanted to leave the gardens, so beautiful. Our meal was delicious and the service was superb. We danced the night away and some of the staff did too, a big thank you to Sabine who looked after us on the day, so caring and attentive, and put so much work into our preparations and ensuring all of our guests were looked after. My nana who is not very mobile was assisted to with all of her needs, and cannot stop praising all of the staff. I would highly recommend the Glenview! Excellent food, stunning location, beautiful grounds, and to top it off amazing staff. Huge thank you to Alina, Vivienne, Sabine and Hazel. A massive thank you to everyone at the Glenview for making our day so special. Thanks to yourself for all the creative ideas and all your planning assistance which definitely took the stress out of things for us. In the months leading up to the day we had great support from all staff with menu tasting and booking in our many guests (thanks to Alena). The day itself ran so smoothly thanks to all your preparation and Sabine’s organisation and implementation. Our guests are still raving about the beautiful views, lovely food and excellent service. Everyone had a great day, night and weekend…especially both of us. We could not recommend the Glenview highly enough to any couple planning their wedding. A huge thanks once again for everything! Dear Alina, just a note to thank you very much for all your hard work and dedication that you put into planning our Wedding Day. I really couldn’t have done it without you and you are well and truly suited to your job and amazing at it. Everyone had the best day, myself and Peter especially. All the months of planning really paid off. I wish you all the best in the future, not that you need it, you are just amazing! Alina, I just want to say thank you so much for everything you did for us on our wedding day. It was absolutely perfect! The room and the gardens were amazing looking. The garden was like something from a photoshoot. 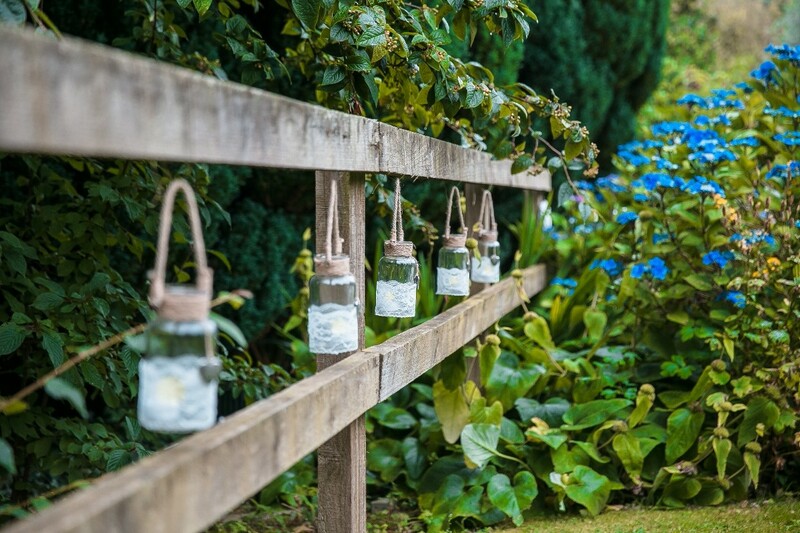 I was delighted you had the idea of the lanterns because it really gave the gardens a magical look! You made sure all my ideas were presently perfectly. You were so easy to deal with throughout the whole process and so encouraging of all my weird ideas. Also we got our photo's back digitally and the pictures on the driveway are great! Everybody was raving about the food, it was absolutely delicious and there was loads of it! I would like you to pass my thanks onto Sabine as well. She was brilliant on the day. She was on point with all the timings and arrangements and she has a great personality. All my family had nothing but good things to say about her! Thank you so much for the beautiful testimonial Ciara & Philip, it means so much to hear you had such a perfect experience with us. It has been our absolute pleasure to be a part of your magical wedding. I have enjoyed so much working with you and I hope to see you both again soon. Best wishes from all of us, Alina & The Team. Myself and my Hubby got married in Glenview hotel on the 30th May 2014. I have to say it has the most beautiful grounds. the staff could not be anymore helpful , the hotel rooms are comfy and it has a warm and relaxing feel to it <3 the food is so tasteful I cant wait to go back again soon . Anyone looking for a wedding venue I highly recommend Glenview you wont regret it :D Thank you so much Glenview! Glenview was perfect for our wedding. We planned our wedding from abroad, so had to depend on good communication and the staff working well with my parents, and we were so pleased with how it went, from the planning stage to the end of the day. The staff were excellent, incredibly helpful and fun, and were committed to making the day fantastic for us, which they did. The function room, the service, the dance floor were all perfect, and the drinks reception on arrival was wonderful. The rooms were lovely, the breakfast delicious. Our guests had such a great time. We loved the location too - not too far from Dublin, but just far enough and with a beautiful view of Wicklow. We would recommend Glenview Hotel without hesitation to any engaged couple. Alina was an incredible help - we were so thankful for how committed she was to making the day an expression of us and perfect for us. Sabine on the night was so much fun and a great help. We appreciate so much the excellent staff - thank you! Hi Debbie and Steven, thank you ever so much for the beautiful words! It has been my absolute pleasure helping you organise your perfect wedding day. We are delighted to hear you had such a great experience with us. Please come and say hi when you are in Ireland again and send my regards to your Parents too! Wishing you all the happiness in the world, Alina & The Team. We got married on the 10th of May 2014 which was one of the best days of our lives. The Glenview really made this possible for us. I can't say enough about this place. The food, the staff and level of care that was provided to us by all the team was 150%. We can't wait to go back and visit. For anyone looking for a fantastic and flawless reception The Glenview is the place to go.. Thank you again for a very special day.. I really don't know how I can put forward how amazing the Glenview is as a wedding location. We got married there on the 10th of April this year and it was nothing short of perfect. Alina, our wedding coordinator made everything absolutely perfect. Her attention to detail is fantastic and you really feel like she's planning her best friend's wedding. That job is ideal for her! Everything from the build up preparations to suggesting those little extra touches that make a difference to being a comfort when external planning gets tough, we couldn't have wished for anything more. On the day, they made sure we weren't bothered with anything and instead coordinated with the wedding party so that they made everything as lovely for us as possible. The room was decorated to perfection and Alina really helped to add in those extra details which make things special. I have to also call out Sabine who is a truly fantastic organiser on the day too. She helped to organise everything really well and you got the feeling that she was in full control of absolutely everything behind the scenes with Alina. They're a fab team. 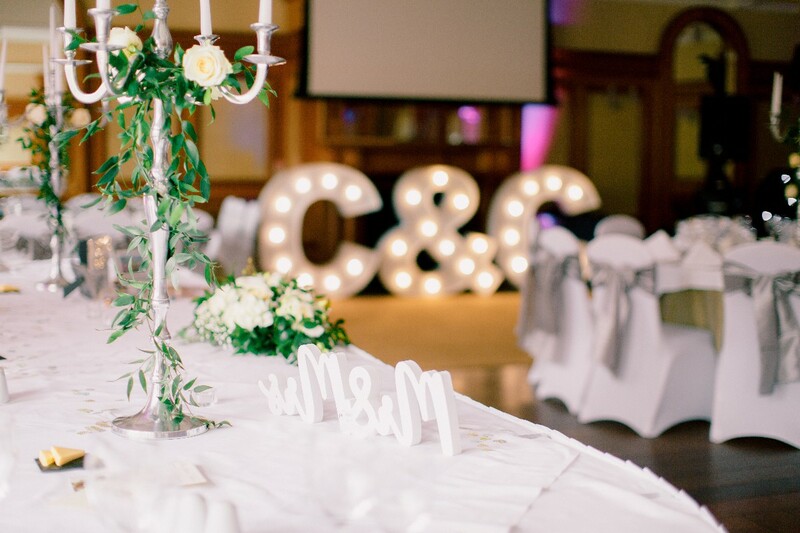 Together with the stunning location, beautiful main room, tasty food, beautifully decorated bridal suite and the amazing staff we couldn't have asked for anything more. I highly recommend this as the perfect wedding venue. The Glenview Hotel made our wedding wonderful. They were fantastic to deal with and couldn't do enough for you! Each time we visited to discuss something we were treated like friends. Even now when we pop in (which isn't often as we live in UK) we are always treated like family! Brian, Seamus and many others remember us and ask us how we are. 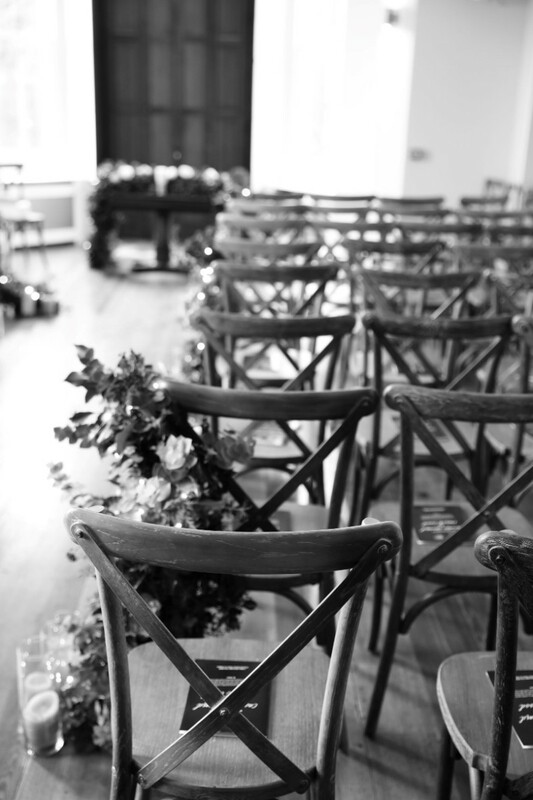 On the wedding day the staff were excellent and everything ran smoothly. You couldn't ask for a better wedding venue and all our guests said the same thing! Thanks again all!!!! Thank you so much for the kind words Alessandra and Daniel! We are so happy to hear about your experience with us. Hope you are coming back to visit us soon. Best Wishes from all of us.